Dorothy Ann Bauman, 83, of Salida, died Thursday March 28, 2019 at Heart of the Rockies Regional Medical Center. She was born January 4, 1936 in Center, Colorado to Ezequiel and Mary Gallegos. Dorothy was a lifetime resident of Salida. 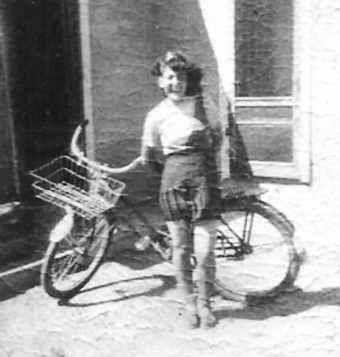 She enjoyed walking, riding her bike downtown, seeing her friends, going to Cripple Creek with her friends, playing Bingo and enjoying her time. She also enjoyed doing yard work, watching the Bronco’s Football games and supporting them. Most of All, she enjoyed life. She was preceded in death by her parents and husband Tommy Bauman. Dorothy is survived by her sister Elizabeth (Jim) Dickson of Salida, nephew Tom Montoya, numerous cousins, aunts and their children, too numerous to mention. Most of them live in Salt Lake City. She is also survived by her cousin Eilleen (Jim) Johnson of Canon City. Mass of Christian Burial will be held 10:30 AM Wednesday April 3, 2019 at St. Joseph Catholic Church. Interment will take place in Fairview Cemetery. In lieu of flowers, memorial contributions can be made to Heart of the Rockies Home Health and Hospice.